You all probably know that today is Google’s Nexus day. The Mountain View giant is holding a press conference in San Francisco where they will almost certainly announce the new LG Nexus 5X and Huawei Nexus 6P devices. That being said we’ve seen a ton of leaked specs and images of this device, and based on those designs, UNDERkg has created a non-functional prototype device, read on. Just a few hours ahead of Google making its new devices official, a leaked video has given us our clearest look at the design of the LG-made Nexus 5X. 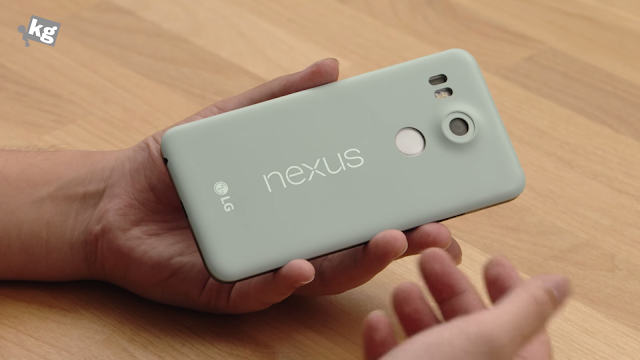 The smaller of the two new devices, the Nexus 5X has a matte design and as detailed in the video, it’ll also be available in a unique mint colour that hadn’t previously leaked. The video gives us a quick look at the hardware and design and the handset does look rather interesting, right? As detailed in the video, the prototype was missing a motherboard which meant a lot of the specs are still unconfirmed but based on a leak a few hours ago, we expect the LG Nexus 5X to sport a 5.2-inch Full HD (not QuadHD) display, a Snapdragon 808 processor, 2GB RAM and 32GB internal storage. A key feature in the new Android M operating system is native support for fingerprint sensors and both of the new Nexus devices are set to sport them. Like Huawei’s smartphones, the Nexus 5X looks set to feature the sensor on the back, beneath the 12.3MP rear camera, which will come with f/2.0 aperture, IR laser-assisted autofocus and a broad-spectrum CRI-90 dual flash. Are you going to buy one? Let us know your views in the comments below.